Online education is more popular and widespread than ever before, serving millions of students each year. These online course offerings have great potential to reach new and diverse populations of students who might otherwise not have access to those learning opportunities. At the same time, inherent barriers exist in an online delivery format that can disadvantage some groups of students, in particular deaf students. Typical accessibility efforts often fail to consider different layers of access that a student must navigate in order to fully access course content. This article proposes a model which describes the three barriers deaf students might encounter in an online learning situation: learning management system (LMS) barriers, course content and materials barriers and communication barriers. Recommendations and considerations are provided to better serve this unique population of students across all layers and points of access. Caitlin McKeown declares that she has no conflict of interest. Julia McKeown declares that she has no conflict of interest. Allen, I. E., & Seaman, J. (2016). Online report card: Tracking online education in the United States. Babson survey research group. 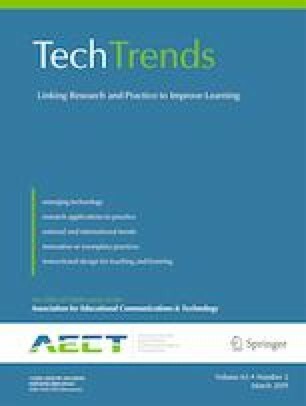 Retrieved March 28, 2018, from http://onlinelearningconsortium.org/read/online-report-card-tracking-online-education-united-states-2015/. Retrieved March 28, 2018.